Can you help this farmer out? This is our final problem for Maths Week ’13. Good luck! A farmer has three water tanks with capacities 8L, 5L and 3L. The 8L tank is full. The farmer needs two separate amounts of 4L. He must divide his 8L in two using only the three tanks. The tanks have no markings whatsoever, the only measuring device he can use is the three tanks. 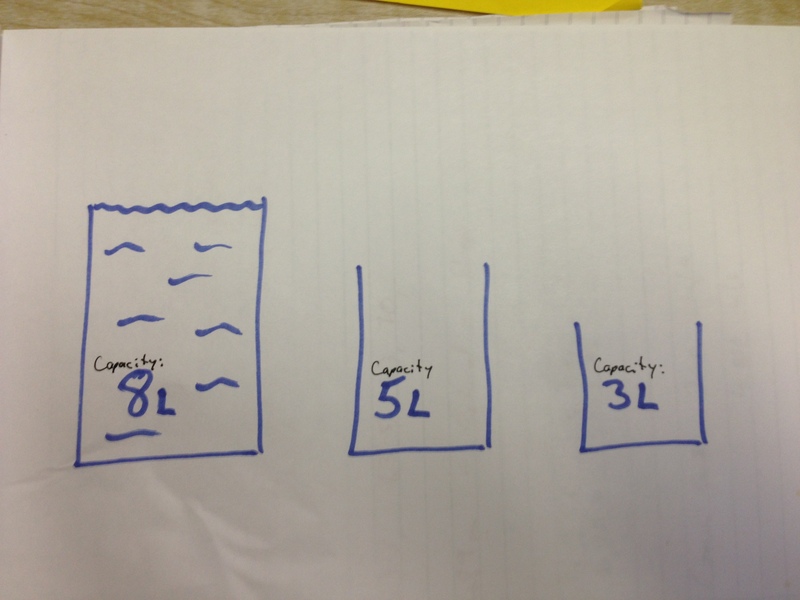 Can you split his 8L in two, using only the measurements of the three tanks? This task can be completed in 7 moves.